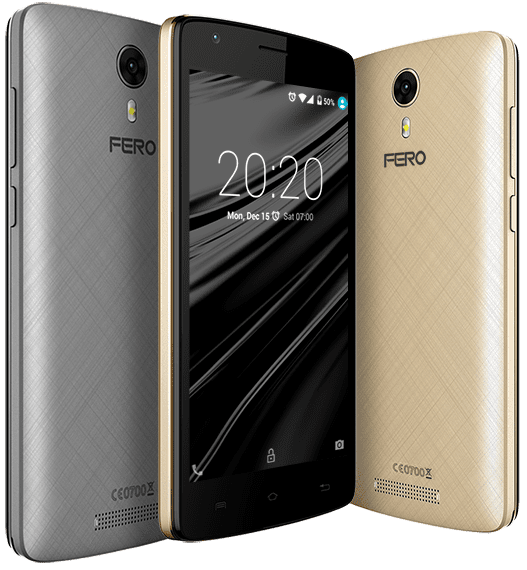 Released as a successor to the Fero Power, the Fero Power 2 has lived up to its name, possessing amazing battery power for a phone which is accompanied by several other low-end specs. Its 4000mAh battery is arguably the highpoint of the device which has similar features as the Fero Power. One of such instances is the camera modules which is left at 5MP for the rear with LED flash and 2MP for the front-facing camera. The Fero Power 2 boasts of a 5-inch IPS LCD display with a screen resolution of 720 * 1280 pixels which is protected from scratches by a Dragon Trail Glass. Its 5MP rear camera is good enough to capture images during the day with able support provided by the LED flash for night shooting. It also sports a 2MP front camera. The smartphone is powered by a 1.3GHz, Quad Core MTK 6580 processor same that was used in the Fero Pace smartphone. It also has a 1GB RAM and 8GB inbuilt memory like the aforementioned device. This can be expanded to 32GB using a microSD. The device runs on the Marshmallow Operating system and supports Dual SIM use although it does not support 4G network connection, which is not new to Fero’s low-end smartphones as is visible in the Fero Power and the Fero Pace. To end on a high point, the Fero Power 2 experienced a slight upgrade from what the Fero Power carried. Its 4000mAh battery which is an increase from its predecessor should last up to 30hrs on music playback which is good tidings to the ears. The Fero Power 2 device is available in retail outlets and online stores in Space Grey, Charcoal and Black Gold colours at a starting price of N30,000.